The tool allows for importing bank statements in order to facilitate reconciliation one transaction at a time. 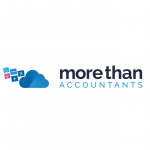 It is the fastest way to reconcile transactions in bulk from within the Xero software, thus reducing the amount of time the accountant or bookkeeper has to spend on each client’s reconciliation. Reconciling a statement from within the cash coding tool automatically takes you to the ‘Accounts’ page. Here is where all of the client’s accounts are managed. Use the drop-down menu at the top of the page to switch between accounts on-the-fly. All of the transactions requiring reconciliation for the current statement appear on this page. More advanced functions are available to anyone with cash coding privileges. If that’s you, just click on the ‘Cash Coding’ tab next to the ‘Reconcile’ tab near the top of the statement report. You will be presented with a new screen listing all of the transactions on the current statement. The difference with this page is that transactions are divided into different columns that you can use for sorting purposes. You can sort by payee, description, amount, etc. Best of all, you can perform bulk actions by using the tick boxes next to each transaction. To select a range of transactions to work with, just check the tick box of the first transaction list, hold down the ‘SHIFT’ key, and check the tick box on the last transaction in your range. All the transactions in between will be selected as well. If you make a mistake, click the ‘Uncheck all’ button to clear your selections and start over. You can modify all of the transactions in a given range just by modifying one of them. For example, let us say you want to modify the description. Just modify the description of the first item in the range. All the other items will be modified instantly, using the same data you just entered. 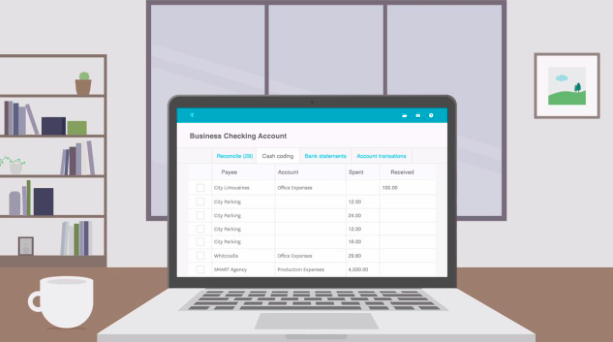 Xero allows you to create bank rules for dealing with certain transactions. You can apply those rules from the cash coding tool simply by selecting the transactions in question and clicking the ‘Apply rule’ button at the top of the transaction columns. If you have more than one rule, clicking the button will open a drop-down menu from which you can choose from. You can apply bank rules on ranges of transactions by following the same process described above. Just select your range and apply the rule using the button or drop-down menu. This is a great timesaver because it saves you the trouble of having to recode individual transactions manually. What you have read thus far is really just a basic introduction to Xero’s cash coding tool. It offers a number of additional great features you’re going to love. For example, you can view up to 200 transactions per page. Even the most complex bank statements can be worked through in no time at all with less clicking. Also note that as long as you are working within the tool the ‘Save and Reconcile’ button constantly remains at the bottom of the screen. You can save as often as you like for your own peace of mind. And when you’re done, one last click finishes the job.